Washington, D.C. (Sept. 6, 2018) -- The National Association of Black Journalists (NABJ) presents the NABJ China reporting mission from Nov. 24 to Dec. 2, 2018. The trip represents an expansion of NABJ's work abroad, offering members an opportunity for the first time to report from Asia. NABJ members are welcome to partake in this journey to Beijing and another Chinese city to be determined. Members of the Asian American Journalists Association and the AAJA-Asia chapter are also encouraged to join NABJ for this cross-cultural adventure. Pricing and additional details will be provided next week. A visit to the Great Wall and other landmarks will be included. The travel dates are firm so put in for your time off and secure your passport. NABJ expects to provide some scholarships to NABJ students. "With the NABJ Les Payne Reporting Trip to China, NABJ will expand its international footprint for the first time in Asia. 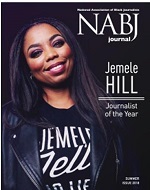 This journey is a terrific opportunity for NABJ to expand its reach and partnerships, and for members to provide perspective on policies that affect Americans at home and abroad," said NABJ President Sarah Glover. 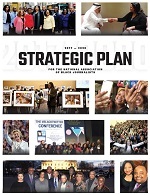 "The trip also supports NABJ members who continue to be at the forefront of reporting on issues that impact black people across the diaspora and people of color." The trip is in honor of Les Payne, NABJ founder and the 4th president of NABJ, for his revolutionary work to introduce NABJ members and students to foreign reporting experiences. Founder Payne passed away earlier this year. Over the past 30 years, more than 100 members have participated in NABJ-organized reporting missions abroad. Countries include Ethiopia, South Africa, Tanzania, Liberia, Senegal, Gambia, Morocco, Mozambique, Ghana, Jamaica, Bahamas and Cuba. Dozens of NABJ student members have participated in Student Projects at the United Nations as well as U.N. Youth Leadership Conferences in New York and abroad where NABJ was a key organizing partner. Notably, Founder Payne's daughter, Tamara, is fluent in Mandarin Chinese and is assisting with the China mission in honor of her father. The NABJ China delegation will examine the emergence of China as the world's second largest economy; the impact of the Donald Trump administration's tariffs on China; environmental, health, child/family and education issues; how black and Chinese relations fare at home and/or abroad; and how China has expanded its footprint for trade and development in Africa, the Caribbean and South America. NABJ hopes to provide additional reporting experiences abroad over the next year pending partnership support and thus this trip is the first program of the NABJ Media Institute Global. Interested in traveling with NABJ to China? Express your interest and keep in touch with us about this adventure at: NabjChina@nabj.org. There will be a limited number of spots available for NABJ members, AAJA members and nonmember guests. More details and pricing to come next week. Partnership inquiries may be directed to Kaylan Somerville at ksomerville@nabj.org. Checks and credit card installment payments must be submitted via the information below. If you prefer to pay by credit card, please click HERE to complete and submit the credit card authorization form. NABJ will send at least three full-time journalism students on the China reporting mission with an all-expenses paid trip. The deadline to apply for the scholarship is Friday, Oct. 5, 2018 at 5 p.m. EDT. ** While NABJ does not expect any issue with acquiring Visas, NABJ makes no guarantee a Visa will be granted by the Chinese government for individual travelers. But NABJ will work with the Chinese consulate directly to arrange for visas for all travelers. If an individual traveler does not get approved for a visa by the Chinese government, NABJ will refund the full fees paid to date. International flight costs are the sole responsibility of the traveler. Travel insurance is encouraged. If you have any questions or need assistance, please email nabjchina@nabj.org.